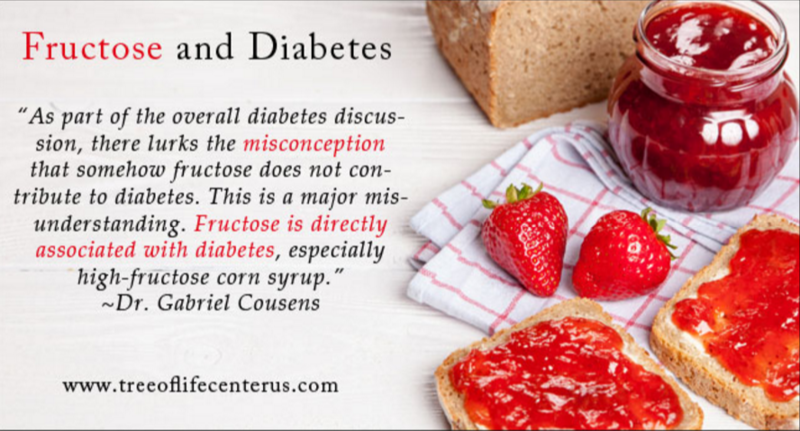 As part of the overall diabetes discussion, there lurks the misconception that somehow fructose does not contribute to diabetes. This is a major misunderstanding. Fructose is directly associated with diabetes, especially high-fructose corn syrup. When one is cellularly addicted to glucose, sucrose, and/or fructose, they become stuck in sugar metabolism for making energy. For years, limited and conventional “wisdom” has held that fructose does not affect your blood sugar. This is accurate on a superficial level but unscientific in its assumption that because fructose does not raise blood sugar, it does not affect insulin resistance and cause many metabolic disease problems from the metabolic abnormalities associated with metabolizing an excess amount of fructose. It is therefore falsely deemed a safer sugar than glucose. None of this has been proven to be true. A primary difference is that fructose is metabolized differently than glucose. Fructose is metabolized much more rapidly than any other sugar into fat via the liver. It is also primarily metabolized in the liver. Because of this it has also been associated with a high level of nonalcoholic fatty liver disease (NAFLD) and a rapid accumulation of a particular kind of fat (triglycerides) that is stored in both the liver and general fat tissue. 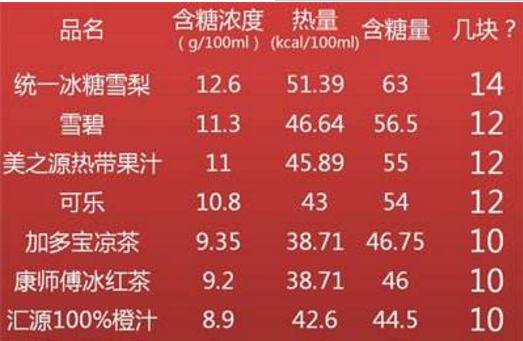 This is related not only to NAFLD but also to heart disease and hypertension. Glucose, when combined with fructose (as in sucrose and high-fructose corn syrup), accelerates fructose absorption. These metabolic differences are further enhanced in light of recent research reported in the March 2011 Diabetes, Obesity and Metabolism, which found that cortical areas around hypothalamus in the brain responded differently to fructose than to glucose. They found that in brain scans, glucose raised levels of neuronal activity for 20 minutes, while fructose dropped neuronal activity for about 20 minutes. This is a significant and polar difference; again, making the point that simple sugars are not handled the same. In these two different areas, then, fructose and glucose are handled differently. As one goes a little further with this story, one begins to see some other pieces. The incidence of diabetes increased about 90 percent in the two years, which coincided with the introduction of high-fructose corn syrup into our collective dietary patterns in the 1980s. Another part of the metabolic difference is that fructose is more lipogenic than glucose. High fructose diets have not only been linked to NAFLD, but this rising amount of high-fructose corn syrup use has also been associated with the rising epidemics of obesity, diabetes, and metabolic syndrome. One of the unique things about fructose metabolism, according to Elizabeth Parks in the Journal of Nutrition (2000), is the surprising speed with which humans make fat from fructose. Once the body is trained in the fructose metabolic pathways, it is difficult to turn it off. 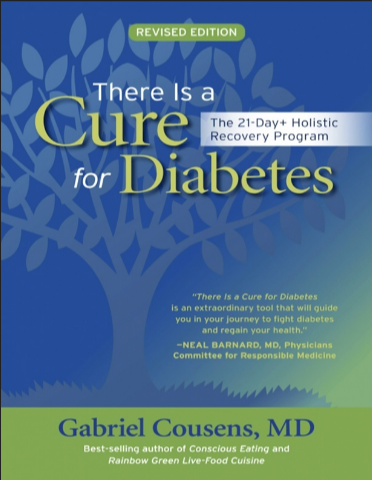 The body makes a decision when glucose enters the system whether to store it as fat or to burn it. Fructose does not get involved in this decision and bypasses burning, going directly to storage. More and more research is showing that high-fructose corn syrup converts more quickly to triglycerides and adipose tissues than blood glucose. Fructose also interferes with leptin and insulin signaling. That is a problem because insulin and leptin act, as previously discussed, as regulators of food intake. Fructose seems to mix up the signaling, resulting in increased food intake and weight gain. High-fructose corn syrup sweetened foods also contribute to diabetes because they have high levels of complex carbonyls (also high in people with diabetes). Fructose does not contain enzymes, vitamins, or minerals, so it ends up stealing nutrients from the body, particularly magnesium, copper, and chromium. Problematically, fructose has no effect on ghrelin, as compared to glucose, which suppresses ghrelin. Ghrelin is a hormone that signals us to eat. It is called the hunger hormone. Fructose does not turn it off, so it does not suppress the appetite, whereas glucose decreases ghrelin secretion in a feedback loop that decreases appetite. Naturally, if the appetite does not slow down, one will gain weight and become obese. In other words, fructose blocks the leptin message to stop eating and to decrease cravings for sweets. Instead, fructose signals our bodies to keep eating and store fat, which leads to obesity. Sucrose is 45�C50 percent glucose and 50�C55 percent fructose. In contrast to this, high-fructose corn syrup can be as high as 80 percent fructose and 20 percent glucose, which is a significant difference. Although they both contain the same calories per gram, there are more differences. Metabolism of excess fructose, which is metabolized differently than glucose, is a general major disaster for human health. High amounts of fructose going to the liver to be metabolized disturbs glucose metabolism in the liver as well as uptake pathways and levels of metabolic pathways that are associated with creating insulin resistance. Fructose is quite detrimental to us for a number of additional reasons. Taking an overview, the introduction of high-fructose corn syrup in the 1980s has been associated with several major health disasters. 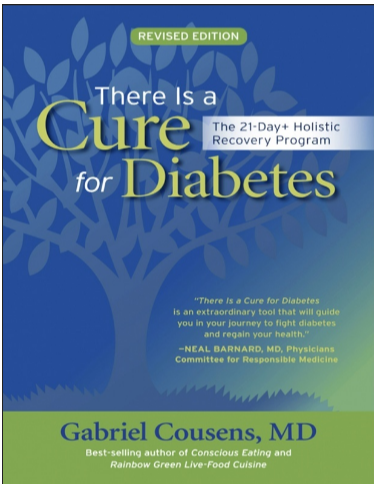 In summary, from a holistic perspective beyond diabetes management, excess fructose (over 25 grams daily) and particularly high-fructose corn syrup have been causally associated with increasing rates of high blood pressure, heart disease, diabetes, obesity and insulin resistance metabolic syndrome, gout, kidney stones, NAFLD, brain inflammation, increased cancer, accelerated aging, and increased AGEs. One study in the British Medical Journal suggests that sugar, sweetened soft drinks, and fructose were significantly associated with increased risk of gout in men. Fructose encourages, and is connected with, increased kidney stone and, as previously mentioned, a significant increase in cases of NAFLD. Between 1970 and 1990, there was a 1,000 percent increased intake of high-fructose corn syrup in the average American diet, and it comprises 40 percent of the caloric sweeteners added to our foods. Throughout most of human history, as I mentioned before, humans rarely had much fructose in their diets (probably 15 grams daily and it was periodic). It was mostly from fruits and vegetables. Today, there is an estimated 81 grams of fructose daily in the American diet, which is up to five times greater than the amount humans used to have. Fifteen to 25 grams daily is safe, but people have gone beyond safe limits with 81 grams of fructose daily. As a result of this excess, the body, as I explained earlier, becomes fructose overloaded. The body is not designed to handle three to five times the safe fructose amount. As already pointed out, fructose metabolism is different from glucose in that glucose is a primary source of energy. Glucose goes primarily to ATP production. Excess glucose may go to the liver to be stored in the liver as carbohydrates. By contrast, fructose metabolism takes place primarily in the liver, where it will sludge the metabolic pathways and will increase triglyceride storage in the liver so the overabundance is too much for the liver. 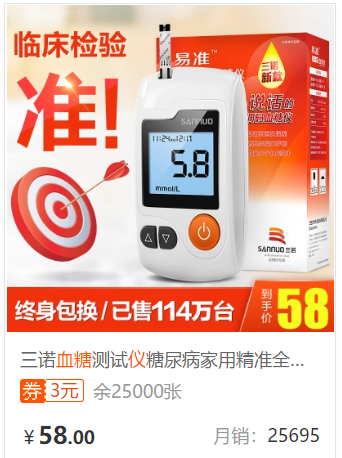 It raises triglycerides, activates the atherogenic lipid profile, and therefore increases the cardiovascular pathogenic profile. Increased dietary fructose, contrary to some earlier teachings, is also associated with insulin resistance and Type-2 diabetes. In 2004, researchers released data correlating refined carbohydrate intake and diabetes. The use of high-fructose corn syrup and other sweeteners was 2,100 percent higher in 1997 than in 1909 and was associated with a higher rate of diabetes. It is thus correlated with the skyrocketing diabetes epidemic. Research was also done to clarify the difference between fructose and glucose in insulin resistance. Controls were compared with high fructose and high glucose diets, and even after one week, those with increased fructose diets significantly increased insulin resistance, as compared to the high glucose group, which had no change. Fructose in excess has also been linked to hypertension, and it does this by inhibiting a key enzyme called endothelial nitrous oxide synthase, located in blood vessel walls. In this way, fructose blocks the basodilation effect in the arteries. Contrary to glucose, fructose creates a high concentration of fats and lipoproteins in the body and contributes to unhealthy lipid profiles. One major lipid increase with fructose is the triglycerides. It also converts to activated glycerol 3 phosphate (g-3-p), which is needed to convert free fatty acids into triglycerides. The more g-3-p one has, the more fat one can store. It also increases the activated APOB100, a primary lipoprotein that carries cholesterol to blood vessels and leads to fatty deposits. It decreases the high-density lipoproteins, which help take pathogenic cholesterol away from the vessels and back to the liver. One of the most serious aspects of fructose excess is NAFLD, which effects up to 30 percent of population; people with NAFLD are found to eat two to three times more fructose. NAFLD is associated with higher rates of cirrhosis and liver cancer. This of course leads to higher death rates from liver disease. A most important aspect of this fructose nightmare is its creation of advanced glycation end products (AGEs), as already stated. Fructose is 10 times more active in creating these AGEs than glucose. Other research shows that cancer cells will use fructose at least 10 times more actively than glucose, which, in itself, is up to 10 to 50 times the normal cell usage for glucose. Data suggests, in general, that long-term fructose consumption increases AGEs and accelerates the aging process. Should one avoid fructose entirely? No. The body historically is designed to handle 15�C25 grams of fructose daily. The question is, what can one do to minimize it since, in the United States, the average intake is 81 grams daily? It is beneficial to minimize sources of dietary fructose, fruit juices, high glycemic fruits, table sugar, and honey; these are your basic and rather simple, straightforward approaches to this. Basically, any packaged product that is not labeled organic will contain high-fructose corn syrup. Additionally, we have a new threat called genetically modified organisms (GMOs). GMO products (which include 86 percent of corn as a source of high-fructose corn syrup) are another very serious concern because they are so hidden in the labeling games. The easy, safe solution is purchase only unpackaged, organic foods. Fifteen to 25 grams of fructose is equivalent to about 2 bananas, 1.5�C2 medium-sized papayas, 4 grapefruits, 4 pineapples, 5 kiwis, a few dates, 1 mango, or a half cup of dried figs per day. One of the things to be aware of is that most sweeteners are problematic, including agave, which has often been found to be laced with high- fructose corn syrup. (Some of this was even caught by the FDA.) I recommend avoiding agave, as “organic agave” brands are 59�C60 percent fructose, which may be equal to or worse than some high-fructose corn syrup combinations. This is why I recommend avoidance of all fructose products when following a low-carbohydrate diets―not just glucose. I am not recommending substituting fructose for glucose or glucose for fructose. High-fructose corn syrup is an unbound fructose and is therefore more pathogenic than fruit-based fructose, which is bound to other sugars. The strongest and main way to cut down carbohydrates in our intake is simply to cut out all white sugar, all fructose sources (except for 25 grams of fruit), and eat mainly leafy greens, vegetables, nonstarchy, fibrous carbohydrates, sprouts, and sea vegetables. That is the simple way to move away from the dangers of a long-term, high complex carbohydrate diet and high-fructose carbohydrate diet. It is relatively easy to retrain one’s body to stop craving sweets. When moving into a Phase 1.0 diet or green juice fasting (no fruit or grains―only nonstarchy vegetables, nuts and seeds, and sea veggies), the body naturally readjusts its programming to a decrease in leptin. Thus we move naturally out of leptin resistance and no longer crave sweets, as we turn off those destructive metabolic pathways. For many, even greens begin to taste sweet, which is nice. When leptin resistance decreases, sweet cravings also decrease immensely. Again, there is no real trick to this other than when one eats less sugar, the body craves less sugar from the epigenetic program down to leptin hormonal programming. The answer on a deeper level is that you have to love yourself enough to want to change your diet.